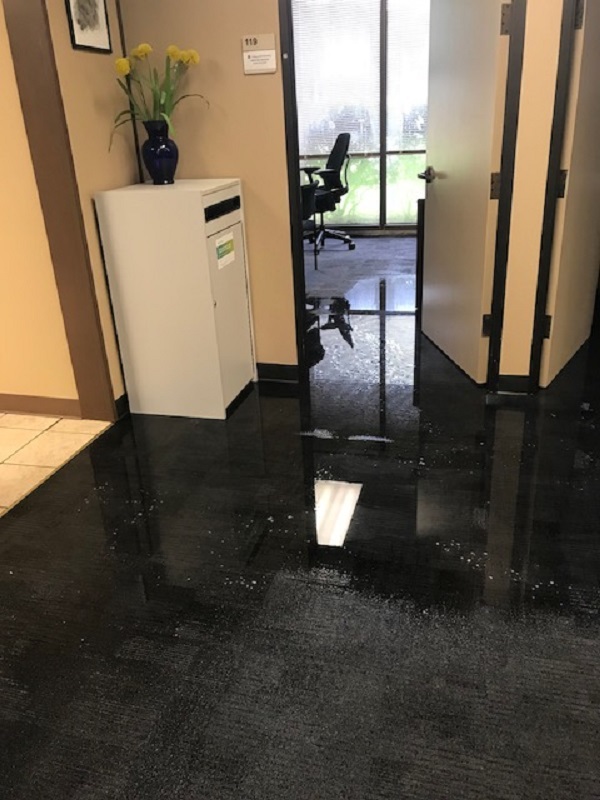 An overnight downpour on Sept. 11 created street flooding causing classes at College of the Mainland to be canceled but also created major damage to the Administration Building. In the early morning hours, COM Facilities Director Charlie King was notified by campus police of flooding in the Administration Building. When he arrived around 4:30 a.m., a stream of water was flowing throughout the one-story building. The water originated from the Vice Presidents’ suite where the foundation cracked and water streamed in. When the foundation shifted, the ceiling also pulled apart. Other parts of the building, like the testing center, financial aid, admissions, advising and the President’s office all had standing water. Employees who work in the Administration Building were asked to work remotely after the flooding and returned to campus on Monday, Sept. 17. Crews have since removed carpeting and baseboards. Since the Sept. 11 flooding, the vice presidents’ suite has been closed off and the vice presidents along with COM’s attorney Chris Brasher have relocated to other offices on campus. The flooding in the Administration Building resulted in media coverage on television, newspaper and on-line outlets. The Administration Building is one of the buildings that is scheduled for demolition should voters approve the COM bond referendum on Nov. 6. The bond package includes the construction of a new STEAM/Allied Health and Industrial Careers buildings and a two-story Student Success Center to replace the current Administration Building.